Born in Reno, Heather returned with her parents in 1984 where she ultimately attended and earned her Bachelor degree in Nursing at the University of Reno, Nevada (UNR). Heather went on to earn her Master’s degree at University of Cincinnati graduating in 2008 where she became a Certified Women’s Health Nurse Practitioner and NCC certified. Heather’s love for Northern Nevada is unmistakable as she spends most of her free time enjoying the outdoors in the magnificent Sierra mountains. Hiking, skiing, horseback riding and hunting are just a few activities Heather loves to do on her own, with friends or with her teenage kids. Those closest to Heather know that she is a sports FANatic. She attends her kids’ games supporting them in all their sports like volleyball, baseball and basketball. When life calms down, Heather can be found cozy on her couch with a good book or catching up on her scrapbooking. 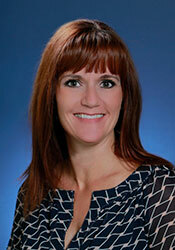 Heather Thomas has been serving patients at Carson Medical Group for 8 years. Once you enter Heather’s caring and empathetic arena, you will feel an immediate ease come over you. Heather has a unique ability to make each patient, all ages and stages, feel as if they’ve found a health advocate that truly relates to their individuality. To Carson Medical Group, Heather has proven not only to be an excellent troubleshooter of her patients’ health needs, she is also a natural relationship-builder where she puts her patients’ needs first. To the patients of Carson Medical Group—Heather cares and values each person as an individual.